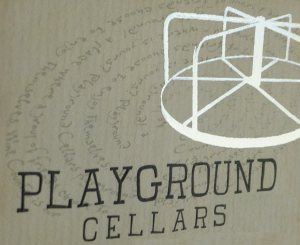 Our Sauvignon Blanc is from a one acre vineyard in Saint Helena. 100% stainless steel fermentation which brings you a wine that is bright, clean, and with a light golden straw color. This is an amazing wine for the summer. Tasting Notes: The nose provides classic SB qualities such as honeydew melon, apricot, hint of key lime and very faint fresh cut herbs. The first taste continues with honeydew, beautifully balanced acid. The finish then moves to tropical fruits of pineapple, lychee, with a finale of faint overripe apricot. Our Grenache from Paso Robles was whole-cluster fermented with minimal new oak that creates an inviting wine with bright fruit and immense character that leads to a level of complexity. In our initial tastings this has become the surprise hit. Tasting Notes: The first taste swells with sour cherry, strawberry, sweet tobacco, and the faint whiff of roses. The palate reflects the nose while the bright acid and tannins play on the tongue. Hidden up in Howell Mounting is a small planting of Zinfandel; uncommon on a mountain where Cab is King. Our 100% Zinfandel was harvested from 103 year-old, head pruned vines. This showpiece spent a year and a half in a mix of various oaks to add to its layers: 40% low-aroma new oak, 40% neutral oak, and 20% American Oak. The maturity of the vines and the terroir of Howell Mountain shine through. Tasting Notes: The nose is drenched with the smell of caramelization (marshmallows, butterscotch, or crème brulee – your pick), fig jam, cedar, dried fill from the American Oak, and leather. The palate has ripe plums, blackberry pie, and cedar. As with last vintage’s Proprietary Red this was a unique find of Napa Valley grapes and one we can never get again. Atlas Peak AVA Merlot dominates the blend and Chiles Valley Zinfandel makes a sneak peek in each taste. This wine is ready to drink now or to hang out in your cellar for a while. Tasting Notes: This beauty’s bouquet is violets, black pepper, baking spices. And vanilla-infused plum preserves. The palate is treated to new leather, dates, prunes, dried oregano, and cedar box. 25 cases produced!!! We keep hearing the same reaction from people when tasting this amazing wine from the barrel “I want to drink all of this now”. It hasn’t lasted since it went to bottle.